Tenants from Clapham Junction turn to the end of tenancy cleaning services of our company when they are about to vacate a rented real estate property. We have fair pricing system and we are honest and reliable, which is the main reason because of which we are favourite choice for countless number of lodgers who book our housekeepers to help them clean the properties efficiently and profoundly. We make use of powerful technologies and cleaning equipment, so you do not have to worry about anything because we take care of it all. Our end of tenancy cleaning services come with a 48-hour guarantee. This means that we will provide a re-clean in case you have some remarks on the final results. However, we can assure you that the final meeting with your landlord and inventory clerk will pass smoothly. Our clients’ satisfaction always comes as our main priority. Our mission is to fulfil your requests and make you proud for choosing us. Take up a contact with us and we will provide you with the most efficient end of tenancy cleaning service available in Clapham Junction. The end of tenancy cleaning of our company is perfect not only for tenants who want to get full refund on the security deposit, but for landlords and real estate agents as well. Let our hard working cleaners take care of the property and you will be more than happy and satisfied for turning to our company. We have been cleaning real estate properties for plenty of years already so we know what is necessary to meet your needs and requests. Over all these years we have had to deal with many challenging situations but we want to assure you that we have never met a single failure. We know that our customers trust us and that is why we want to exceed their expectations. 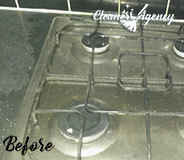 We are ready and prepared to deep clean any property, no matter its size, type or condition. We are the right company in Clapham Junction for you and we can provide you with spotless clean environment. Give us a chance and you will see for yourself. Thank you so much for the incredible end of tenancy cleaning service at our house last week. We were very pleased with the service, both in terms of the high quality and pricing. We enjoyed a smooth pass of the final meeting with our landlord. We would strongly recommend the service. 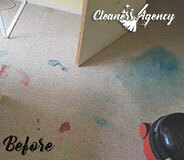 Cleaners Agency London is a developing cleaning company serving customers in different areas of London. 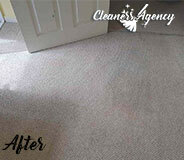 We started our business several years ago with the clear mission to deliver high-quality cleaning solutions. Whether it be your flat, house, office or commercial premise, we’ve got you covered. Our friendly call centre agents are any time available to listen to your requirements and suggest a cleaning option accordingly. We are certain that you will find working with us beneficial. There are many reasons for our tremendous success in the cleaning industry and yet, we take pride in having a team of trustworthy and capable cleaners. All of them undergo an extensive training program and learn to perform a variety of domestic chores. In addition to this, our teams work with up to date cleaning equipment. When they are around, the cleaning duties are not an issue any more. Work with us and we will deliver you a service that comes up to your expectations. If you are about to change homes and you are looking for professional end of tenancy cleaning service, do not think twice about getting in touch with us. We have been in the cleaning business for plenty of years now and we best know what our customers expect from us. 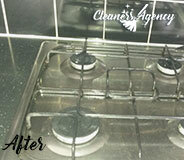 Throughout the years we have been working really hard to perfect our cleaning sessions and methods. Today, we are one of the most trusted names in the cleaning sector with a vast clientele. People place their trust in our company because we are reliable, professional and hard-working. Our company is based in Clapham Junction and everybody with a property in the area, can take advantage of our end of tenancy cleaning service. You can trust our housekeepers because they are trained and experienced. What is even more, they are so hard-working and ambitious that they can get the cleaning done in a proficient and quick manner. They can visit you at a convenient time and take care of the cleaning for you. The added benefit is that they will bring their own cleaning equipment so you do not have to worry about anything. Find us in Clapham Junction.